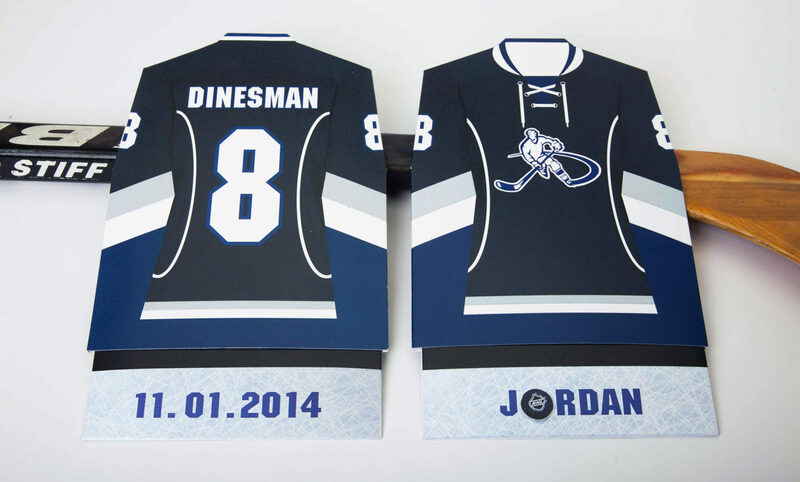 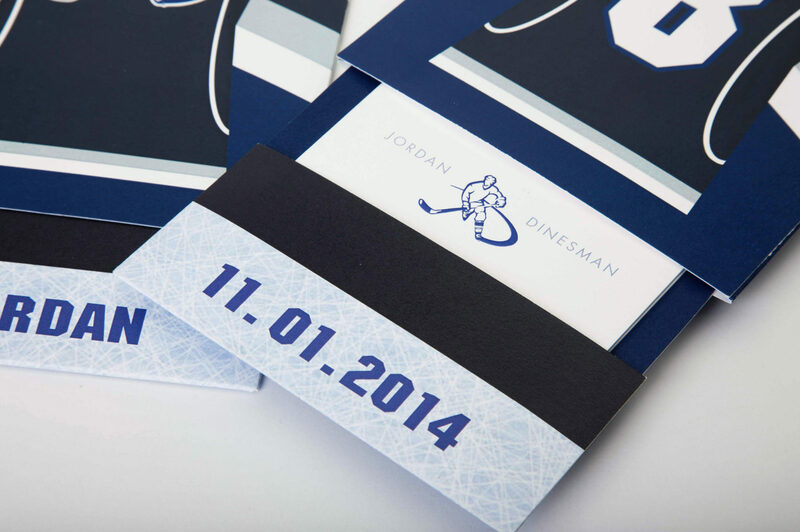 For this hockey-themed bar mitzvah, we created a custom logo displayed prominently on the invitation’s slip-sleeve jersey front. 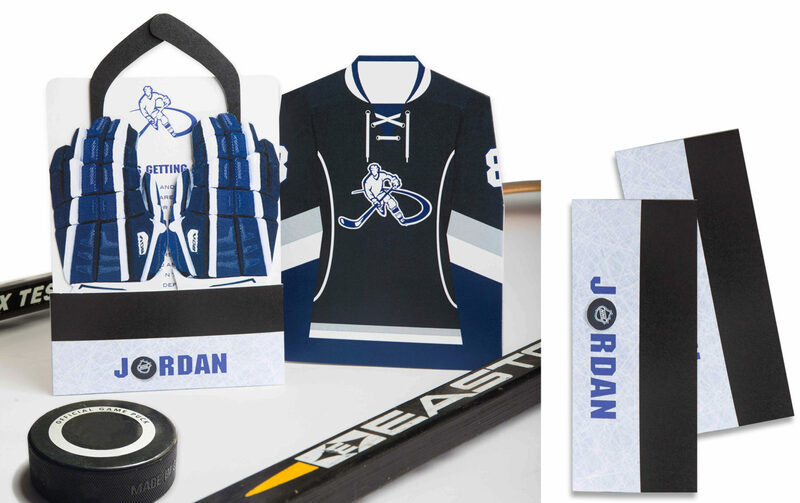 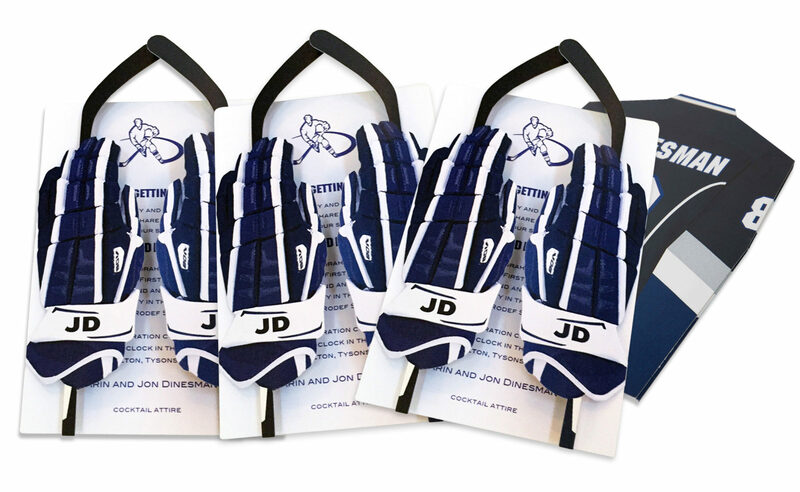 Tucked inside an inner sleeve, die-cut hockey gloves and sticks fold back to reveal the invitation, recalling the Torah inside the ark. 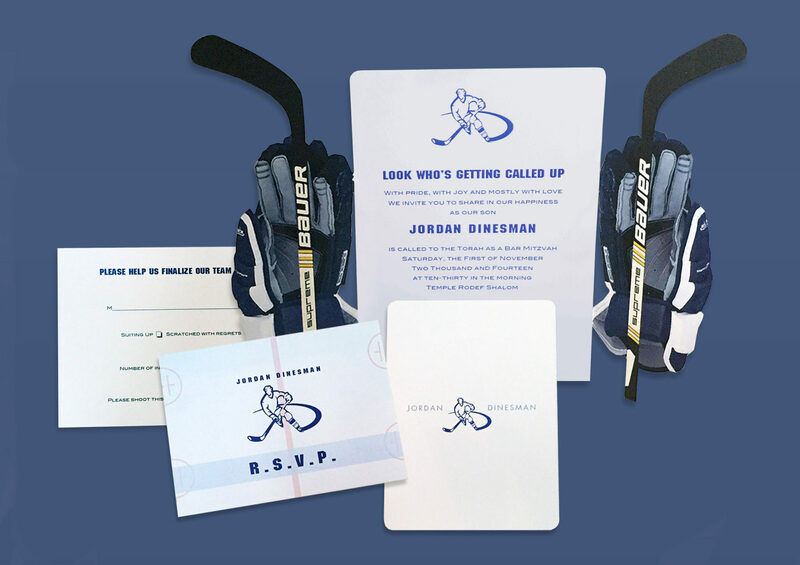 Additional information cards, including the response, directions, event cards and envelopes were gathered seamlessly inside the ice sleeve.